If you're reading this website, you're very probably some sort of geek. Which is totally not a bad thing! The question is, of course, what kind of geek are you? 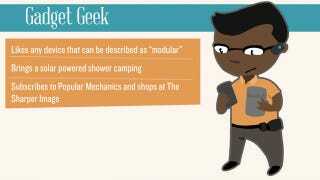 A gadget geek? An Internet geek? Perhaps an Apple Fanboy Geek? Check out this infographic to find out.